We get asked about Rat Infestations quite a bit so on this page we are going to try and help resolve & diagnosis the rat problem. Home owners experience rat infestations on occasion and a lot of the time its to do with poorly maintained drains,cracks in the sewer pipes or caps missing off the interceptor a quick drain CCTV survey will establish if the drains are indeed the culprit if so Drainage Experts can reline the pipe work to its original condition if you have a cracked or broken drain. Consider our main public sewer line as the M1 for rats and then each line into that sewer from a building is then an A or B road. They have vast amounts of pipework below ground in which they can move through. A small hole is all that is required for rats to pass through, they can compress every part of their bodies except their heads. Therefore, considering drainage pipes alone, any part that is broken, collapsed or has been left as redundant without being sealed is a potential point for them to escape from the drainage system into your property. They can then access floor voids, cavities and lofts and once in, it can be difficult to locate where they came in, remove them and then prevent them from coming back. How do you know if you have rats well they can often be heard running around in lofts or ceilings in voids or cavity walls and the sign of rat droppings is another big indicator of their presence. If you have a rat infestation and the obvious visual checks around the buildings perimeter of the property, pest control services and baiting the rats don't work, then a drain CCTV inspection of the drainage pipe work is usually the way forward to prove the path of their entry, being that drains are one of the most common areas of concern. 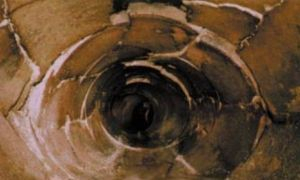 A drain CCTV Survey can prove the cause immediately or provide evidence to begin to enable the process of elimination. Knocking down walls, lofts or floors is the last thing you should start with in your quest to solve the rat problem and where possible should be avoided as expensive repair bills is the last thing you need a simple drain CCTV survey will solve this problem and at a fraction of the cost . The best-known rat species are the Black rat and the brown rat. The group is generally known as the old world ratsor true rats, and originated in Asia. Rats are bigger than most Old World mice, which are their relatives, but seldom weigh over 500 grams (1.1 lb) in the wild. The term "rat" is also used in the names of other small mamals which are not true rats. Examples include the N American pack rat, a number of species loosely called kangaroo rats, and others. Rats such as the Bandicoot rat are Murine rodents related to true rats, but are not members of the genus Rattus. Male rats are called bucks, unmated female Rats are called does, pregnant or parent females are called dams, and infants are called kittens or pups. A group of rats is either referred to as a pack or a mischief. The common species are opportunistic survivors and often live with and near humans, therefore they are known as commencals. They may cause substantial food losses, especially in developing countries. However, the widely distributed and problematic commensal species of rats are a minority in this diverse genus. Many species of rats are island endemics and some have become endangered due to habitat loss or competition with the brown,black or polynesian rat. Wild rodents, including rats, can carry many different zoonotic pathogens, such as leptospira, toxmoplasma gondi, and campylobacter The Black death is traditionally believed to have been caused by the micro-organism yersinia pestis carried by the Tropical Rat Flea which preyed on Black rats living in European cities during the epidemic outbreaks of the Middle Ages; these rats were used as transport hosts. Other zoonotic diseases linked to pest rodents include classical swine flu and foot & mouth disease so good housekeeping and drain maintenance is a must and if you have a rat infestation contact Drainage Experts who can advise the best way forward. The average lifespan of any given rat depends on which species is being discussed, but many only live about a year due to predation but can breed rapidly so dealing with a rat infestation quickly is key to getting rid of the rat problem before it takes hold and you end up with a large rat infestation. There are several things the homeowner can do to prevent rat infestations, don't leave food lying around outside, keep your garden shed clear of food stuffs and site on a concrete surface,check your drains by having a drain CCTV survey done, check inspection chambers for rat droppings and good general housekeeping is a must. Please don't be too alarmed at the sight of mice or even a rat as in London its a known fact we are never more than a few feet away from rodents even though we may not see them,Drainage Experts are always on hand to advise on all your drainage issues from rat infestations ,cracked drains,drain repairs,Drain Relining Services and anything else that you may need to know regarding your drainage issue. 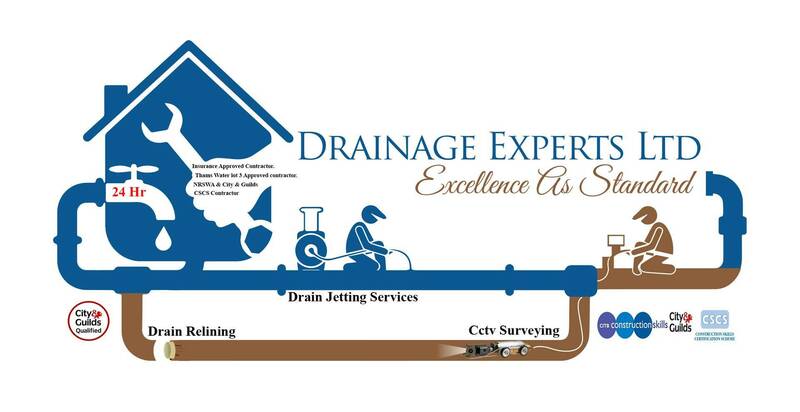 DRAINAGE EXPERT SW LONDON,DRAINAGE EXPERT SE LONDON,DRAINAGE EXPERT N LONDON,NW LONDON.